Honestly, they could’ve called first. Major League Baseball Productions has unearthed a wonderful, almost archaeological find – 51 seconds of film, apparently home movies, of Babe Ruth in action at Yankee Stadium. Ruth is briefly shown playing right, then we watch him called out on strikes on a check swing, then we see a pan of the outfield, which stops tantalizingly maybe a second before we could’ve seen the scoreboard. MLBP’s call for detectives to help it pinpoint just when the footage is from and who else is shown in it, reached both NBC Nightly News and The New York Times. Uh, fellas, I’m standin’ right here. The acknowledged ace amateur unidentifiable photo identifier, certified by the Hall of Fame for crying out loud! There are several good conclusions drawn by the MLBP researchers: That the advertisements in the outfield are said to match still photographs known to have been taken in 1928 (which I assume they have carefully researched) – that Ruth (and Gehrig, on deck) are wearing uniforms without numbers (the Yankees first adopted them in 1931) and Gehrig is seen approaching the plate from the third base side (the Yankees called the third base dugout home until 1946). …the archivists believe that the clip dates to 1928. Perhaps it is the World Series, which might explain the full stands and long shadows. Narration in an additional Times video clip adds in the possibility that the “full stands” owe to it being Opening Day or the 4th of July or, as mentioned, the Series. So if it’s a big day like that – where’s the bunting? Check any photo, or any of the film, of baseball in the ’20s, especially at Yankee Stadium. Opening Day, the major holidays, the Series, and they festooned the place to within an inch of its life. Film from any of those days in 1928 would show bunting designed to evoke the American flag on every available railing not in fair territory. There is no bunting. Also, why the assumption that only Opening Day could produce “the full stands”? That’s one of the easiest things to check. The Yankees’ game-by-game log, with boxes for every game and attendance figures for most, is found in two seconds at the fabulous Retrosheet.Org. From it we learn the Yanks opened at home on April 20th, 1928, against the Philadelphia A’s, and drew just 30,000. 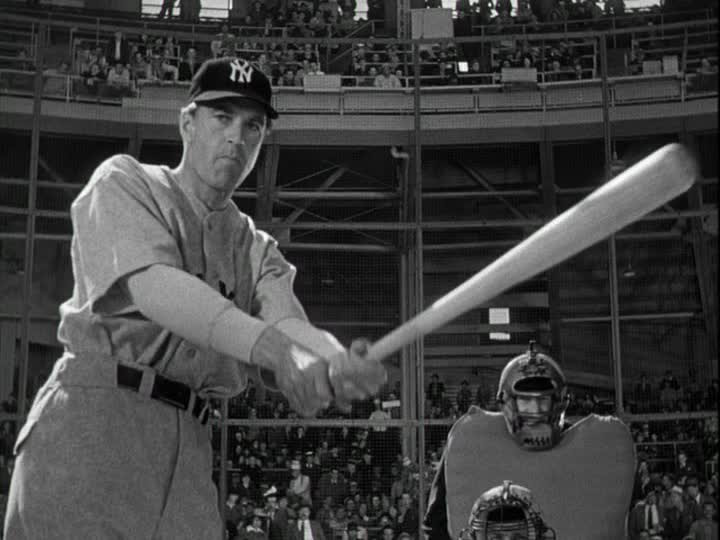 In point of fact, the big days for attendance in the house that the guy striking out in the film clip built were July 1 (65,000 for a doubleheader with the A’s), August 19 (65,000 versus Cleveland), and September 9 (85,265 for another doubleheader with the A’s). The jam-packed nature of those crowd shots sure suggests 85,265. September 9 might also produce you those “long shadows” while still explaining the large amount of white in the crowd (for the most part, the gentlemen are not wearing jackets). And it also jibes with the only bit of information that the catcher in the image provides, until somebody puts the clip through computer enhancement. Clearly the top of his cap is light-colored. And per Marc Okkonen’s opus Baseball Uniforms Of The 20th Century the only American League teams to wear such caps in 1928 were the Browns, Red Sox, White Sox — and Athletics. Cleveland wore dark caps. Huge crowd? September 9 versus the Athletics (85,265) works. No bunting, no cold weather, not a holiday, not the World Series? September 9 versus the Athletics works. Catcher’s got a light-colored cap? September 9 versus the Athletics works. So, what do we know about Ruth in those games? Again, per Retrosheet, we see he played in them both – and struck out in them both, twice in the opener, in which the only strikeouts by Philly pitchers were recorded by John Quinn and Eddie Rommel, and once in the nightcap, in which all the Philly strikeouts were by Rube Walberg. Mickey Cochrane caught the first game for the A’s, and also got four at bats in the nightcap before being replaced by Cy Perkins (probably late, after Walberg was lifted in the seventh). 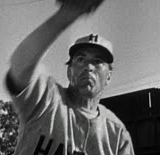 We never see the pitcher in the film, not even a hint as to whether he’s a lefty or righty. We do see the third baseman, the second baseman, and probably the rightfielder. Conveniently, the same three guys played both games for the A’s on September 9, 1928: third baseman Jimmy Dyk es, second baseman Max Bishop, and rightfielder Bing Miller. There is a very small percentage chance that the images could be from the other Yanks-A’s doubleheader on July 1, but the crowd isn’t packed enough. 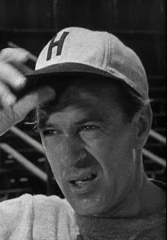 Kind of too bad: the A’s rightfielder for both games that day, just barely visible at the end of the film, was Ty Cobb! Largest Gathering in Game’s History Overflows Stadium– Receipts Are $115,000. Shirt-Sleeved Throng Cheers as New York Regains Lead From Athletics. Three Start Their Vigil Early on Saturday Evening–Mayor Walker Receives an Ovation. Yankee Stadium Too Small. Receipts Set a Record. Crowds on Apartment Houses. 85,265 SEE YANKEES WIN AND TAKE LEAD 50,000 Linger Outside. Seventy in Line at Midnight. Sorry about the delay on this, but you guys didn’t call, and I was in the hospital much of the evening, and I don’t carry my Okkonen with me. The video’s pretty clear. Babe Ruth’s pants have not been patched!